One of our readers recently traveled carry-on only to East Africa. Her trip included a variety of activities including a gorilla trek in Uganda, which would almost require a packing list on its own. Keep reading to find out how she traveled carry-on only for her three week trip to East Africa! I am back to reality after an amazing 3 weeks in east Africa. We experienced gorilla and chimp trekking, amazing safaris, city days, posh meals and beach days. We even got “snow” – 6 inches of hail in Uganda the day before our gorilla trek. We both only did carry-on and we lucked out with the right options for every occasion. It was my husband’s first time traveling with carryon only and using packing cubes, and he is now a convert! This was especially the case after we had a canceled flight on our last day. We luckily were allowed our carryon on our new flight as we had so little. Looking for the best carryon suitcase? Check out our round up of gorgeous styles! Along with a new found love for carry-on packing, my husband embraced packing cubes (much to the amusement of the TSA agent who opened his bag) and even invented his own hacks. We brought Castille soap instead of shower gel and a sanitary pad in the soap dish stopped any mushy soap problems but the poor unsuspecting TSA agent got a surprise to see it. 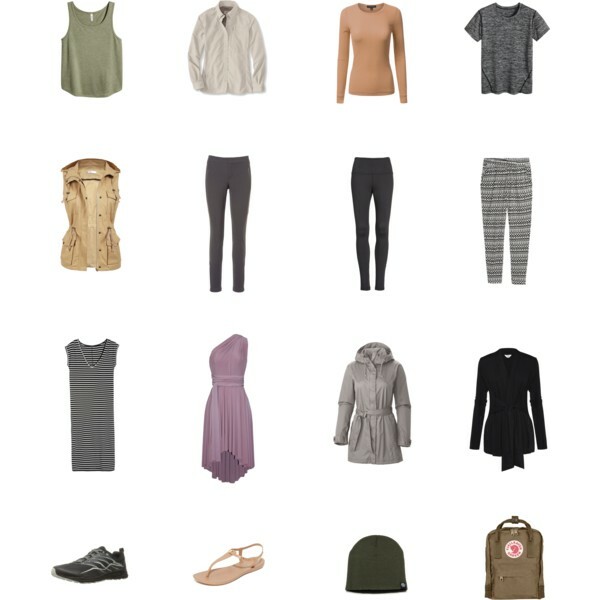 I loved my packing list and it worked really well for various situations. Personally, I would bring knee-length dresses next time as midi doesn’t suit me as well and lots of locals wore knee-length. I also would have liked gaiters for the gorilla trekking as the hail made it very muddy and slick. I also need to try to use proper hiking boots but just love the lightness of trail runners. Treating all my clothes with permethrin worked great and, combined with Deet 100, stopped the mozzies so no need for my epi pen. I did need the exofficio shirt for tsetse flies, as Deet doesn’t stop sand fleas. Here are more tips for the best insect repellent! For this trip, I included just the essentials, which ended up working out perfectly! Packing cubes changed the way I travel. They allowed me to travel carryon only for nine years! Safety is always a concern when traveling. So, we’ve rounded up the best anti-theft travel bags for women based on the top picks from TFG readers! 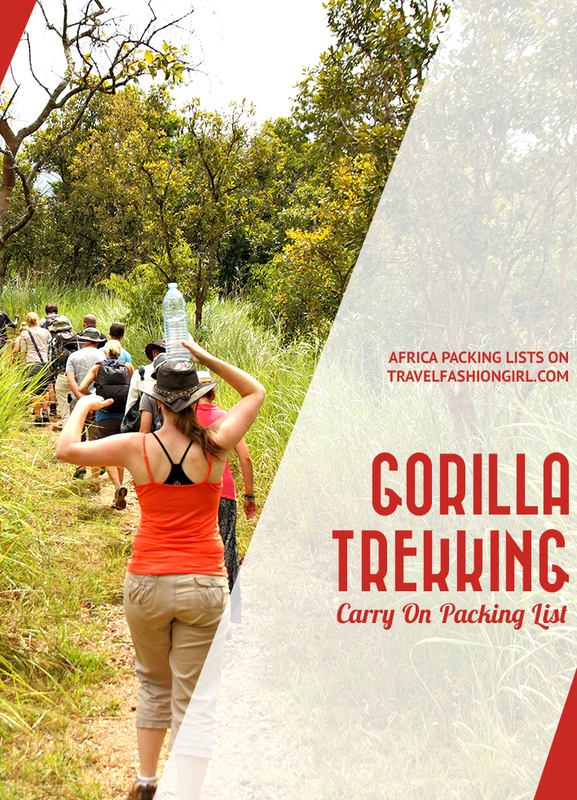 What would you add to this Gorilla trekking packing list? Comment below! 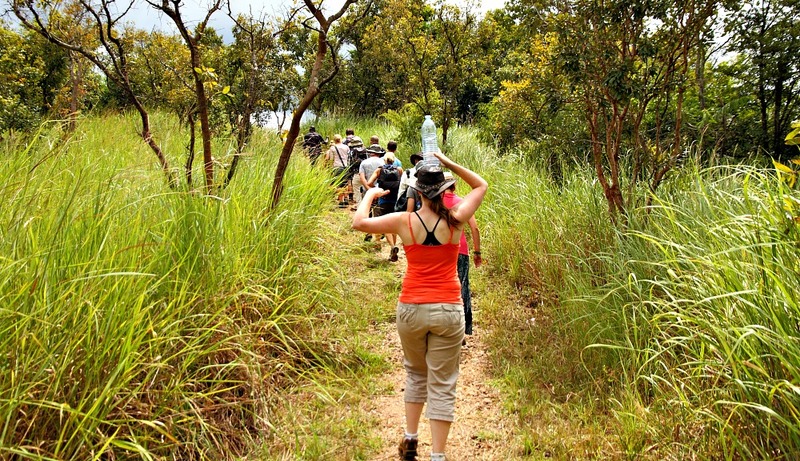 Hope you liked our reader’s tips on what to wear gorilla trekking. Don’t forget to share with your friends on Facebook, Twitter and Pinterest. Thanks for reading! Did you need waterproof shoes? Thanks for this super helpful info! I’m 4’11 and wondering if I should get my own kid-size trekking poles for the trek in Bwindi in Uganda? I’m wondering if the ones they have will be so tall they’ll be kinda bulky for me? Lol, sanitary pad in a soap dish… That’s a new one.